Introducing "Alchemically Stoned- The Psychedelic Secret of Freemasonry"
In celebration of the 300th anniversary of modern Freemasonry, The Laudable Pursuit Press is proud to present Brother P.D. 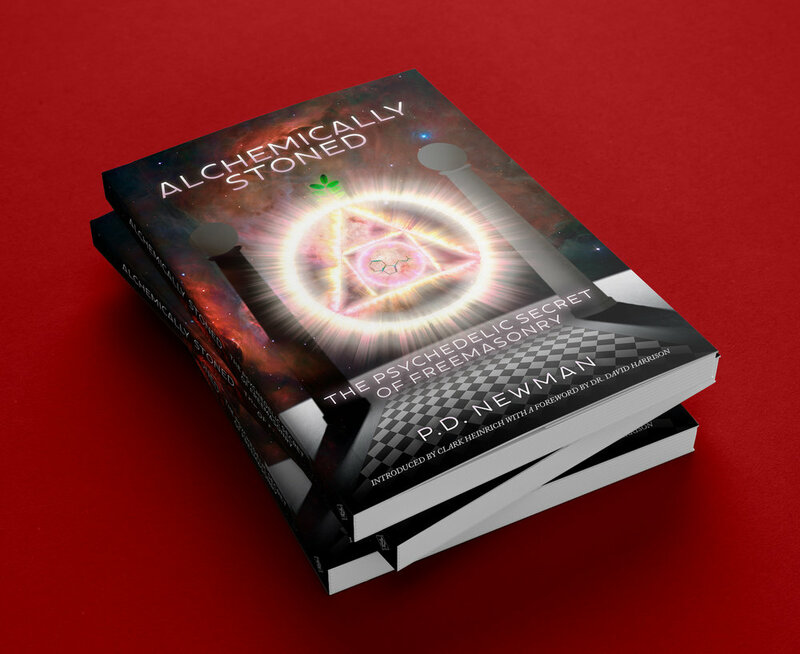 Newman's groundbreaking work Alchemically Stoned- The Psychedelic Secret of Freemasonry. "P.D. Newman's bold and daring theory provides a radical interpretation of Masonic symbolism. In the tradition of Wasson, Hofmann and Ruck, in The Road to Eleusis: Unveiling the Secret of the Mysteries (1978), and Heinrich's Strange Fruit: Alchemy, Religion, and Magical Foods (1995), Newman suggests that practical psychoactive pharmacology, rather than philosophy, lies concealed in the root of some of our allegories and mysteries. Admitting to being more than a mere theoretician, Newman draws from his own personal experiences, and a wide range of sources, in presenting his theory in a logical manner, which merits consideration. " "In this sensational new book, P.D. Newman argues that the use of DMT was an essential ingredient in certain Masonic Rites, especially Cagliostro’s Egyptian Rite and Melissino’s Rite, something that added to the overall ritualistic experience. These lost rites of the eighteenth century are something that I’m deeply interested in, and the idea that certain rites included the digestion or smoking of the root extracts of a certain species of acacia that had hallucinogenic properties to produce an effect in a particular ‘lodge’ room is a fascinating one. Newman’s work details the use of DMT in various initiation rituals throughout history and provides an argument for his theory that is at once convincing, entertaining and interesting. The sprig of acacia is a strong symbol within Freemasonry, and Newman presents us with a new twist on the meaning behind this symbol. Newman also presents us with the history of the acacia symbol within Freemasonry, from its mention in eighteenth century exposes, and how during the third degree, it became an essential ingredient in the Master Mason ritual, perhaps in more ways than one."